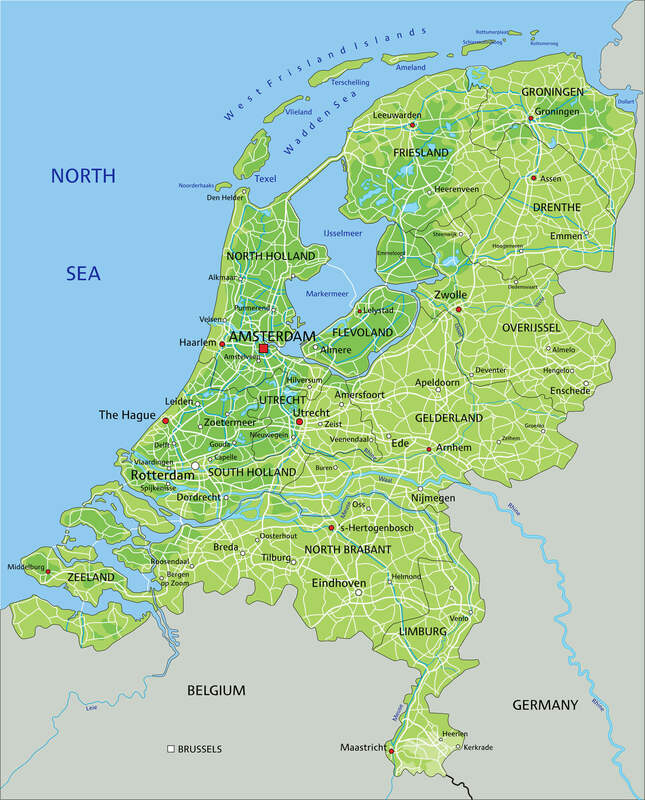 Navigate Netherlands map, satellite images of the Netherlands, states, largest cities, political map, capitals and physical maps. 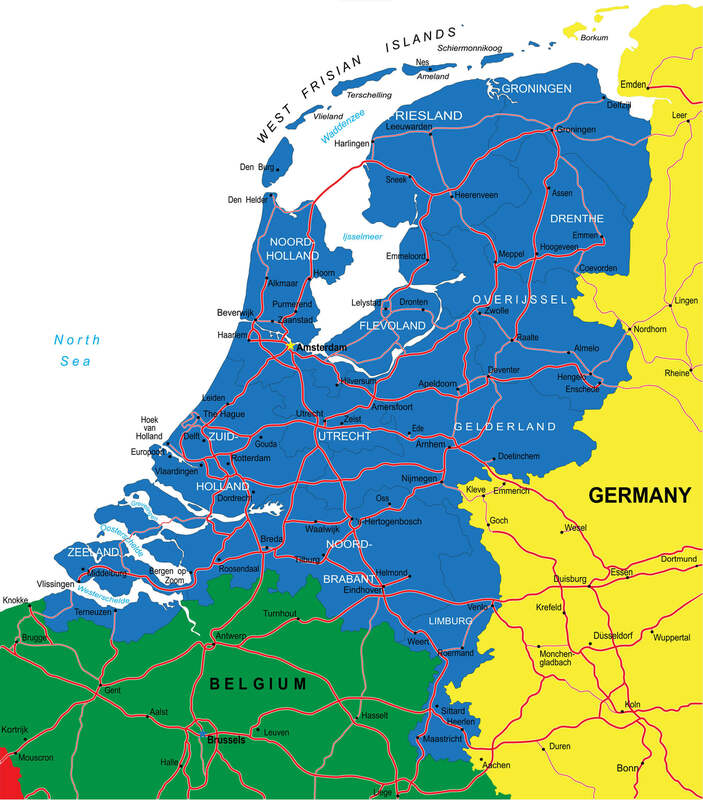 Colorful Netherlands map with regions and main cities. 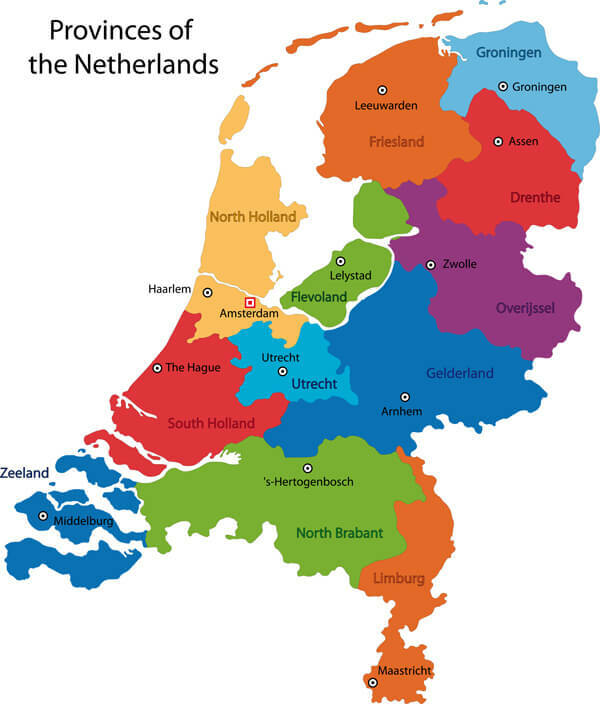 Netherlands Road map with major cities. Netherlands Administrative Map - Highly detailed editable political map with separated layers and provinces. 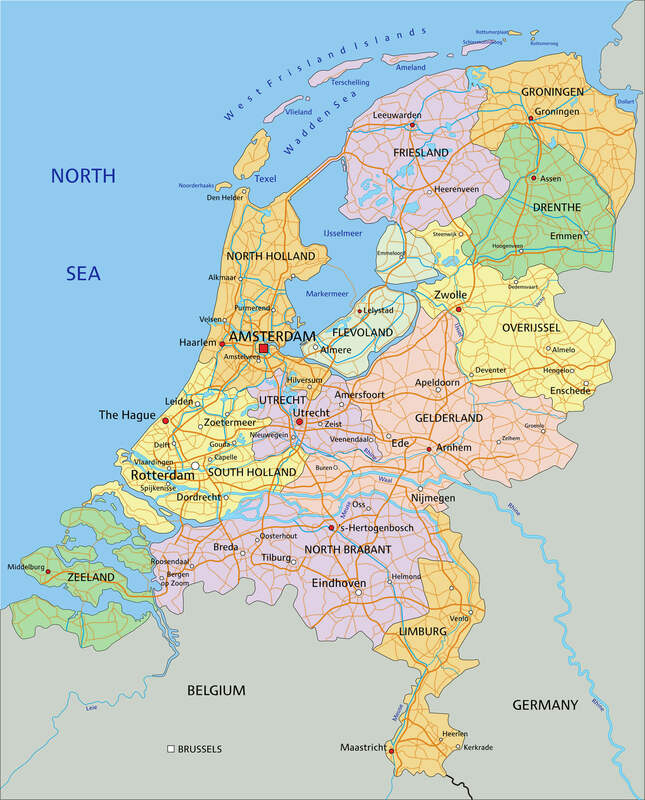 Netherlands Regions Map - Highly detailed editable political map with separated layers and provinces. 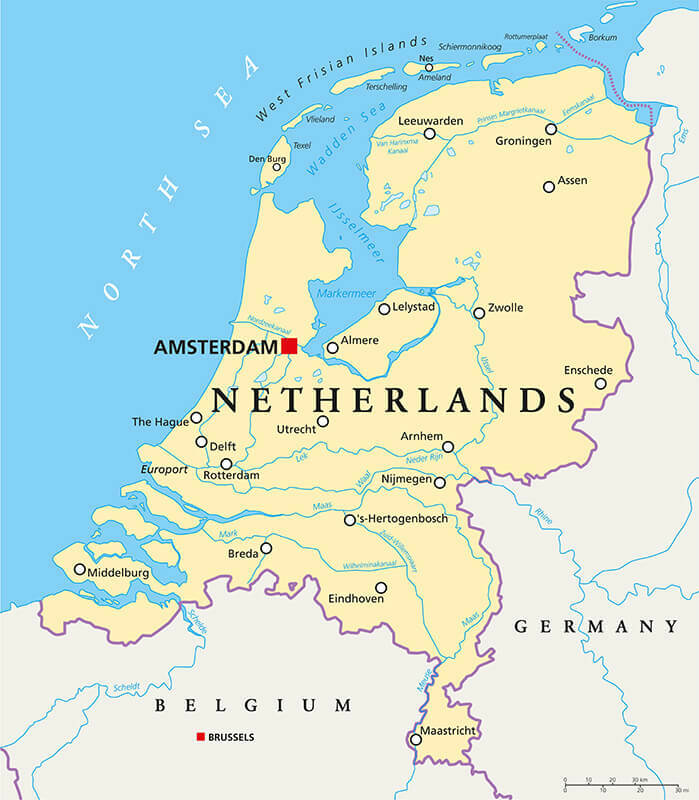 High detailed Netherlands physical map with labeling. 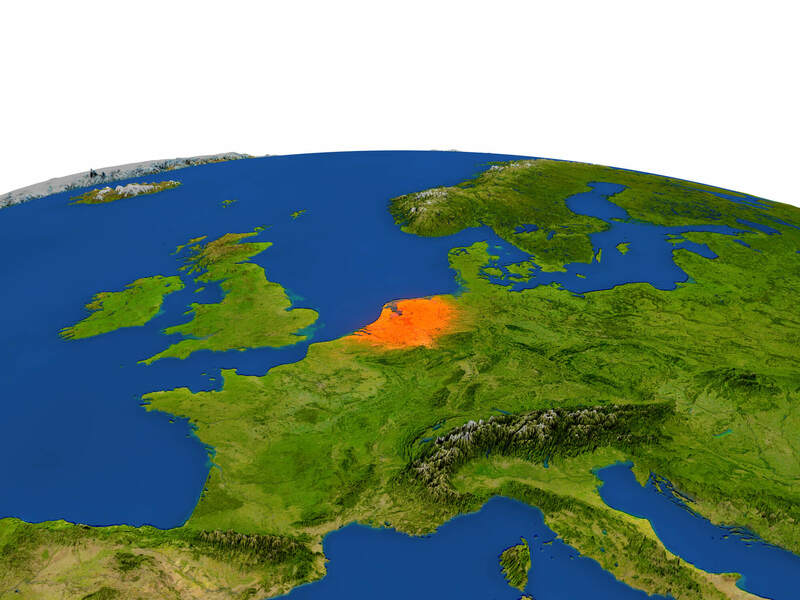 Netherlands from Earth's orbit in space highlighted in red color. 3D illustration with highly detailed realistic planet surface. Elements of this image furnished by NASA.